But after a short while you don't need to read it, you already know. Even though there can be hundreds of popular cards you learn the idea behind them and game-play speeds up (and you look like less of a noob at the local tournament). That's when things really get fun, you can even learn what sort of deck to expect inside the first turn your opponent takes. Sure! That's a great way to build a highly custom monster, but I see MORE! 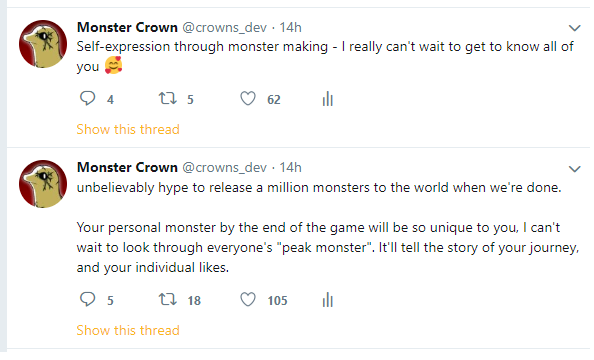 If I see the bottom child monster I'll say to myself "wow! this person really likes Dracupyr's design! And look at that palette - this player clearly loved the post game location!" "Wow, Brutalize! You mean they had what it took to beat that optional post-game dungeon too?" "Hm, those moves seem to reflect a strong magical preference in stats... I bet they've ignored building up this creature's magical resistance"
"Oh no! This monster tanked my magic attack! This is a truly formidable foe! 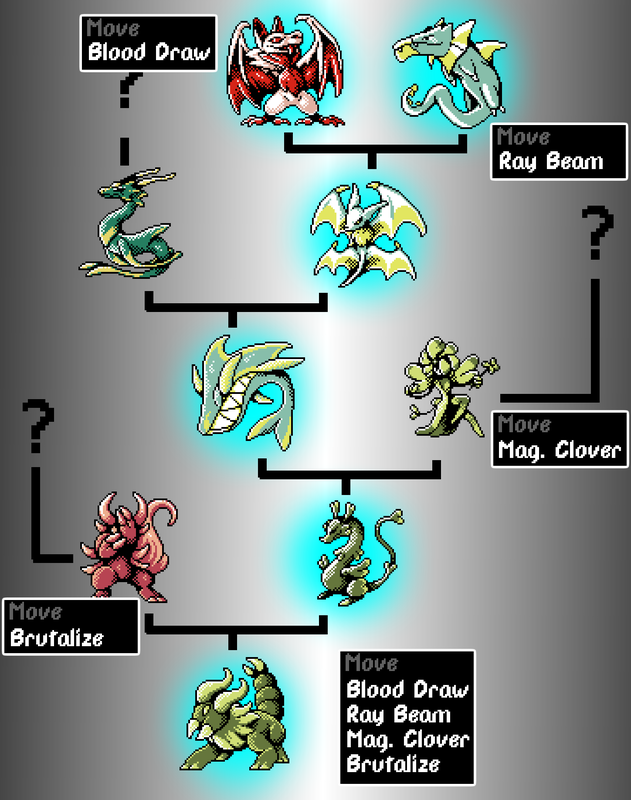 Maybe even I could learn a thing or two from their knowledge of monster breeding..."
PS: Yes some of the above monsters are new and have never been seen before... which ones are genetic variants? Which ones are new species? Unfortunately... I'll never tell!